The main ingredient in a fountain beverage is water, so assuring consistent water quality is critical. Removing chlorine and chloramine provides a better tasting carbonated beverages and reduces extra syrup normally added to the drink to mask the chlorine taste and odor. A consistent high-quality, good tasting beverage. Reduced syrup usage since excess syrup is not needed to mask chlorine taste. Higher carbonation in beverages increasing effervescence eliminating flat drinks. Standard beverage systems combine roughly 4 parts of carbonated water to 1 part syrup concentrate (bag in boxes) to form a carbonated beverage. These traditional post mix systems usually only requires the removal of chlorine from the water supply. 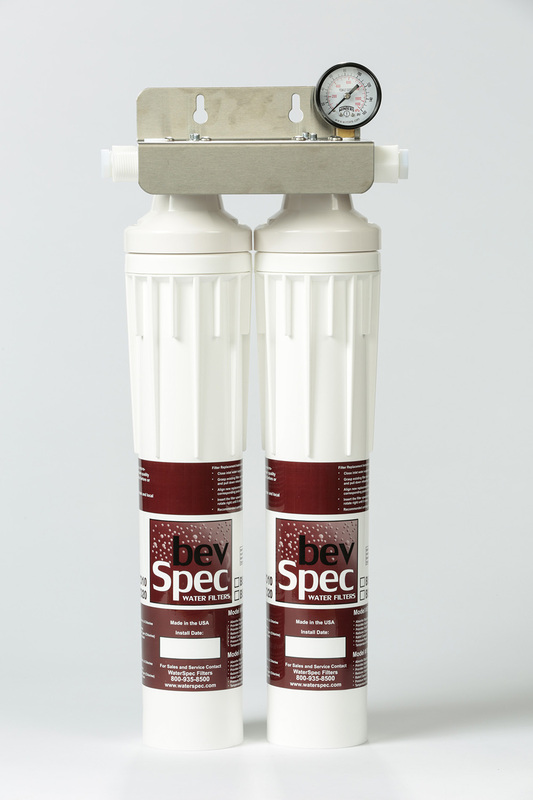 In these applications use the BevSpec BTO filter cartridges for sediment and chlorine removal only. Newer beverage systems that use a much high percentage of carbonated water and a more concentrate syrup component often require the removal of chloramine as well as chlorine when present in the water supply. 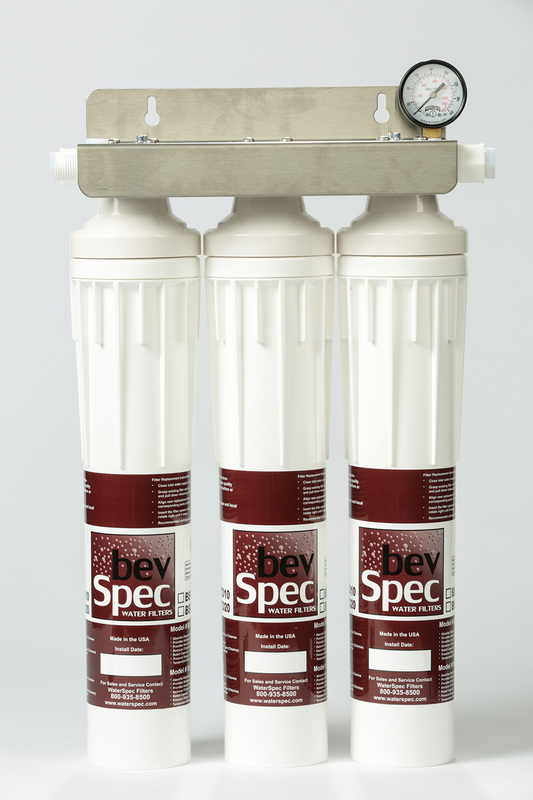 In these applications, use BevSpec BTOC filter cartridges for sediment, chlorine and chloramine removal. The following sizing guidelines are based on water flow requirements of soda equipment on average water pressure and water quality. Variations in water quality or pressure may reduce overall water flow especially as filters are in service for prolonged periods. BevSpec filters provide excellent sediment filtration and chlorine/chloramine removal. 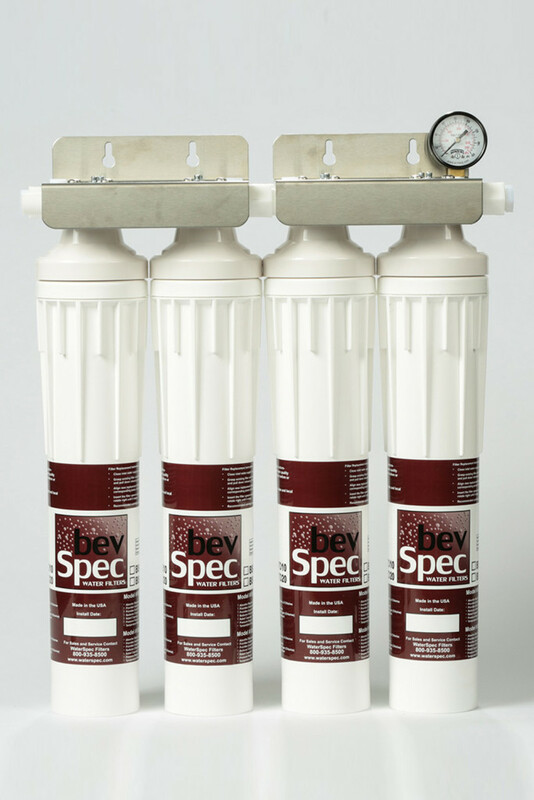 The gallon capacity ratings of the filters are based solely on chlorine and chloramine removal and not sediment removal. Recommended filter change interval is 6 months. Ninety-eight percent (98%) of a cup of coffee is composed of water, so the quality of your coffee is dependent on the quality of the water. Chlorine ruins the taste of coffee. The presence of chlorine shortens pot life by accelerating coffee bitterness. Scale build-up on heating elements prevents water temperatures necessary for proper flavor extraction. 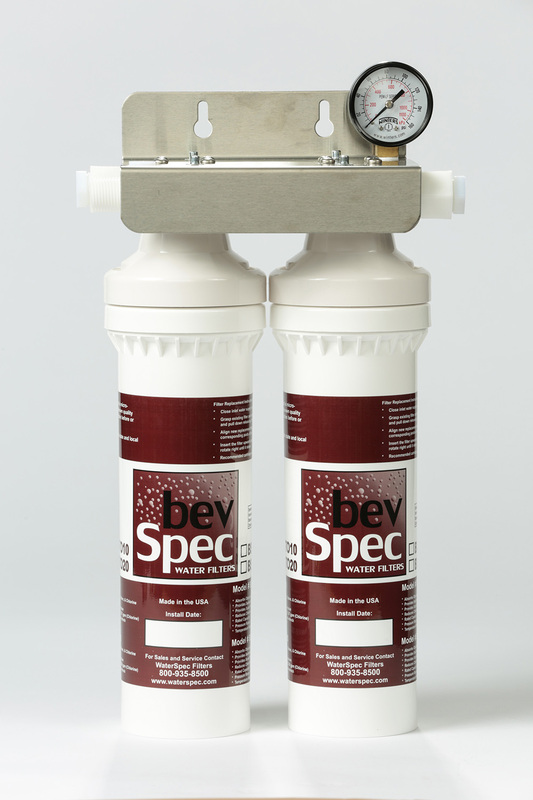 Untreated water forms lime scale in the brewing equipment necessitating expensive descaling procedures, and/or shortening the life of the unit. Brewing equipment maintenance is reduced & equipment life is prolonged. Taste and aroma is enhanced with longer pot life. Mineral scale build up is inhibited. The sizing guidelines are based on water flow requirements of coffee/tea equipment with average water pressure and water quality. 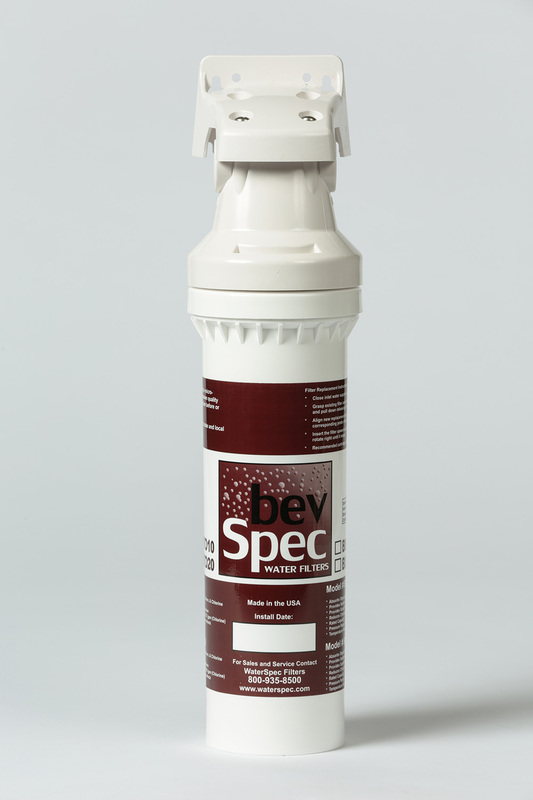 Variations in water quality or pressure may reduce water flow especially as filters are in service for prolonged periods. BevSpec™ filters provide excellent sediment filtration, chlorine removal, and mineral scale control. 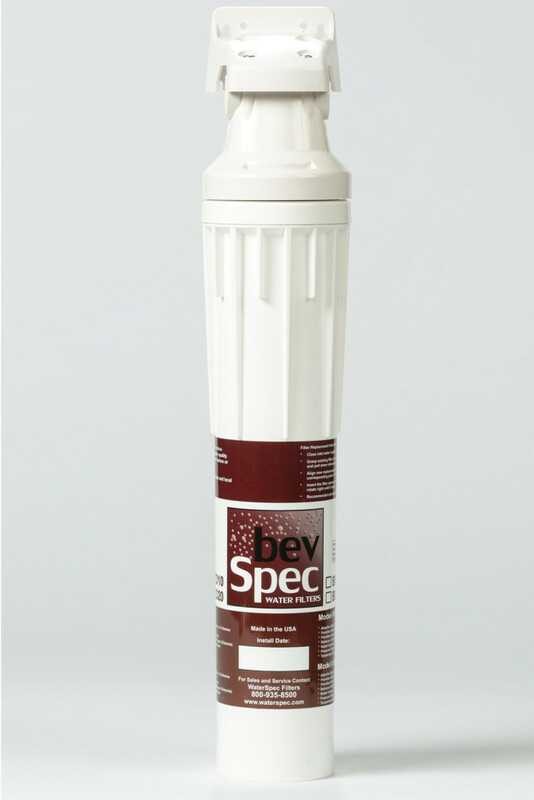 The gallon capacity ratings of the filters are based solely on chlorine removal and not sediment or mineral scale control. Recommended filter change interval is 6 months. Espresso and Office Coffee Service – Only Use BTOS 10 Single Systems. If water quality is very poor or demineralization is required for espresso equipment, reference the RO-175NE system under CookSpec systems.